Sometimes you have to make snap decisions; you know, things along the lines of…do I want to look like a fool or do I want to be comfortable. I opened my car’s trunk outside the UConn football practice facility this afternoon and looked at my wife’s lime green beach chair with pink stripes. I then mulled that very question…for about a nanosecond. It was 92 degrees and I was about to spend two-plus hours watching practice in the blazing August sun. I was bringing the beach chair. Comfort beats looking like an idiot by a mile on days like today. Plus, Desmond from the Hartford Courant looked really comfortable on his portable chair (his was much more dignified, but I digress). As I entered the practice fields, Desi Cullen gave me a nod of approval (or he might have said 'dude, you're not at the beach'). Odd looks and snickering made no difference, I had a seat with which to work. Besides, it’s far from the most ridiculous I’ve ever looked. Here’s a rundown of practice today (written from a beach chair on a football field). Lots of Mohawks today; let’s just say some players wear them better than others. Scott Lutrus looks like Road Warrior Hawk. Brad Kanuch looks like a roadie for Blink 182. 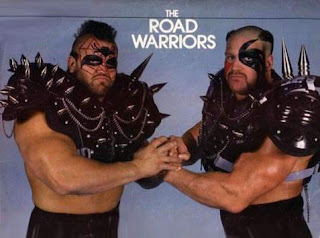 On a side note, one of the other linebackers should have gotten the Road Warrior Animal reverse Mohawk. And I realize I’m losing some of you with 80s tag-team wrestling references. Only a trio of players didn’t practice, running various strength drills on the sides; defensive tackle Beau Brunelli, defensive end A.J. Portee and fullback Brett Manning, all reserves. Only Brunelli, who had ACL surgery in the spring, is out for extended time. The others should be back by Friday or early next week. 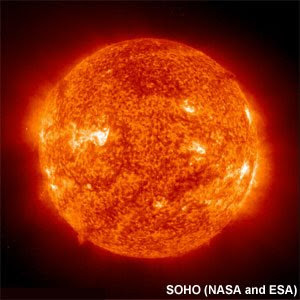 Make no mistake, it was a hot one. The players started strong, but, as Randy Edsall said later, they began to wilt around the 90 minute mark. The final 10 minutes, Edsall was in rare form. Among those who caught an earful were Kijuan Dabney and Sio Moore. But it was Moe Petrus who got the brunt of Edsall's rage for dogging it. "The guy just needs to grow up," Edsall told media afterward. Andre Dixon worked as hard as anyone today. He later said he knows this is his final opportunity to play. Asked if he mulled not returning this year, he said "If Don (Brown)came back, I probably would have left. He had such a great year, I don't think he was about to slow down, so who knows." There's only so much stock you can put into drills, but freshmen wide receivers Dwayne Difton and Michael Lang looked quick with decent hands. But as Edsall said, we'll know how ready they are once they're practicing in full pads and getting hit. It's still early, but I also think Marcus Easley will have a big year; as in, lead the team in receptions big. Speaking of receivers, Brian Parker remains ineligible this semester, but unlike Marcus Campbell he remains in school and can practice. He just isn't game eligible. Also, K.C. Chambers left the team due to a university discipline issue, according to Edsall. Linebacker Matt Ashmead graduated over the summer and opted not to return. Again, it's only the first day, but Zach Frazer looked pretty darn good. We mentioned this during the spring, but he has transformed his body into a sleeker version (he's listed as 6-4, 225). That's a testament to how hard he's worked, Edsall said. Michael Box, freshman quarterback from Suwanee, Ga., took No. 4. I kept thinking he was Tyler Lorenzen. The list of invited walk-ons included receiver Eric Sawicki of Frankfort, Ill.; offensive lineman Stephen Brown of Clifton Park, N.Y.; receiver Cole Wagner of York, Pa. and long snapper (that's his listed position) Glenn Kolebrenner of Santa Monica, Calif.
That's it. Sweat is now pouring onto my keyboard, and the 'c' key is getting stuck. Thanks for the update. It was a great read. Keep the news coming. Anyway, thanks again for the update. You're probably right Chris. I can't remember which was which now. The more 80s and 90s wrestling references the better in my book. Chip, where do you see UConn finishing this year? game by game win/loss breakdown? I think the Killer Bee mullet is ready to make a comeback. Sine the passing of Mike Jackson and John Hughes this summer I feel the 80s are all but dead. We need a revival! I'll reserve my prediction until later on in camp. Right now, it's too hard to judge. We were looking for that beach chair all day!